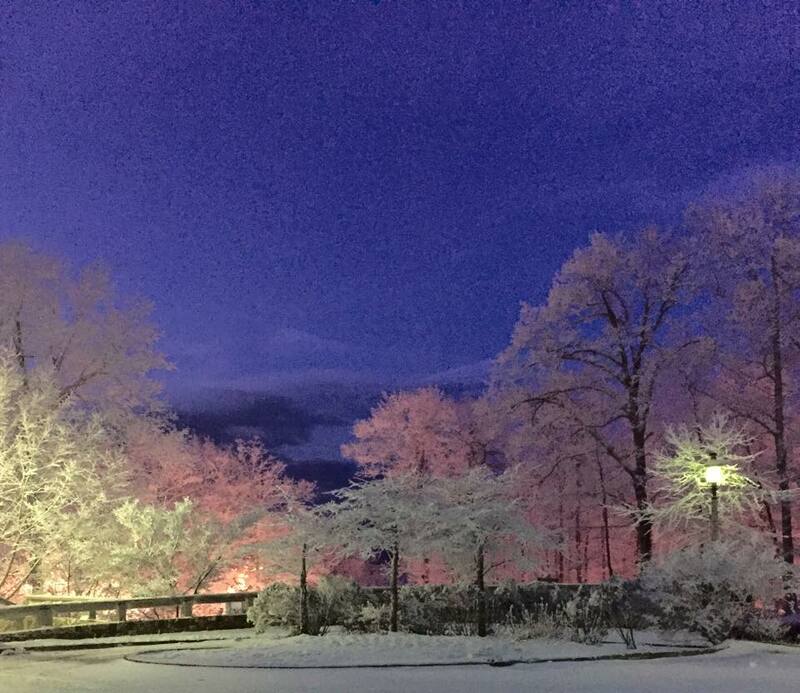 Photo By Diane Givens : A couple of inches of overnight snow at Wintergreen left this beautiful landscape as people began waking up Tuesday morning – January 27, 2015. Most people in the immediate Central Virginia Blue Ridge area didn’t see much from this latest round of snow that fell. But, a couple of inches of new snow fell in the overnight hours Monday. That brings the total to about 4″ (since Sunday) in the highest of elevations near Wintergreen Resort. Especially on Devils Knob. 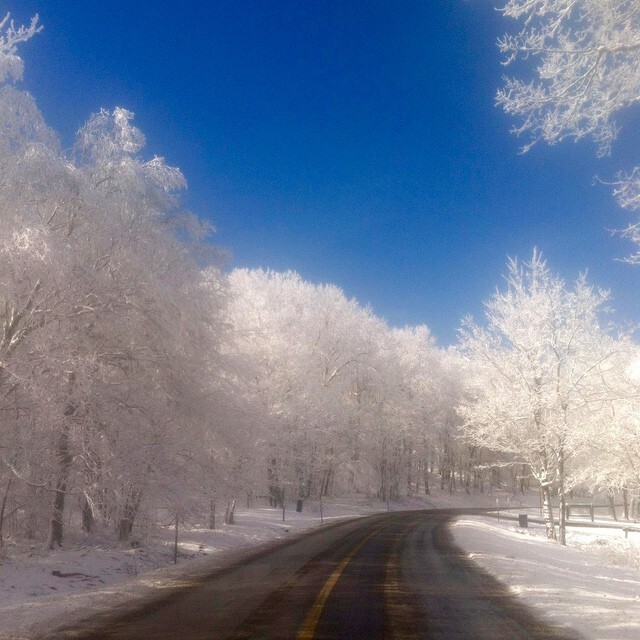 Photo By Kim Sillas : And another beautiful shot sent to us by Kim Sillas over at Wintergreen Real Estate’s mountain office. This is Wintergreen Drive near the spa. Just breathtaking.